Car leases, and particularly lease transfers, give you a lot of different vehicle options to choose from when you’re trying to determine what car to lease. Though having options is a good thing, it can lead to analysis paralysis, making it impossible to decide because there are just too many choices and too many competing factors to consider. If you find that you have difficulty deciding exactly what car to lease, there are several things you can do to get the process moving along and make your choice more clear. Differentiate between wants and needs. There may be some car features you really want, but others that you really need. If a car has almost everything you want but is missing some key element that you truly need, you must sadly strike it from your list. Decide what’s most important. Perhaps you highly value high fuel economy, but also really like the massive utility of a full-size SUV. Since the two things are mutually exclusive, you’re going to have to decide which quality you value more. Pick a category. If your list of potential vehicles is too broad, start by choosing a specific type of vehicle. 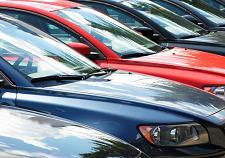 That will narrow down your options of what car to lease to a much smaller, well-defined list. Know the truth. Make sure you’re not making your decision based on false assumptions, such as the idea that manual transmissions are much more fuel-efficient or that larger vehicles are automatically safer than smaller ones. List the pros and cons. If it comes down to two choices, write down all the benefits and disadvantages of each. You can even score each list by rating and weighting each item. Flip a coin. If two choices still seem equal, it’s likely because they’re both equally good choices. Since you can only choose one and either choice is correct, simply flip a coin to decide what car to lease. If you have a gut reaction to the outcome, you’ve got your answer. Before deciding what car to lease, check out our wide selection of lease transfers at Swapalease.com. We would be happy to help you decide, so please contact us with any questions. This entry was posted in Leasing A Car and tagged fuel economy, hybrid vehicles, insurance rates, leasing a car, research different car models, transfer leases by admin. Bookmark the permalink.